Centre owners purchasing furniture for preschool, kindy, or childcare have a lot of factors to think about. Parents and guardians mightn’t appreciate the effort that goes into stocking the centre with the right supplies. Here’s some things they ought to know. You’ll hear people shout out “don’t run inside!” and preschools are built to prevent this by design. Nobody wants their charges to get hurt and deal with the fallout. When people buy furniture for preschool, they make sure the items serve a specific purpose. Educators and carers will then lay it out so there’s a section for everything. This teaches kids the importance of boundaries, and how some activities are only appropriate in one area. For example, a bookshelf and chairs designate the reading area, while cube shelves with art supplies near some tables and chairs make up the arts and craft area. Soft toys, cubby houses, and building blocks are an extension of children’s creativity; even a simple chair can become a throne during playtime! Teachers stock outside and indoor play areas with items that facilitate constructive play. Kids imitate what they see in real life or on the television. They use cubbies to ‘play house’ and use large soft foam shapes to actually build one. Centre owners who buy furniture for preschools also stock up on art easels, paints, and chalkboards. They’re easy to clean and let out the kids’ ‘inner artist’. Some play time is dedicated to painting, so the centre will buy art supplies to keep the children (and teachers) happy. Preschools often have a certain colour scheme, especially if they’re part of a larger franchise. Kinder Design makes furniture to order so there’s no danger of clashing colours. Preschools purposefully avoid loud, exciting colours because they cause agitation. Rather, they choose cool and calming shades for their centre. They keep this in mind when purchasing furniture for preschool. Kindergarten is a place where kids begin to learn in a formal environment. It’s a classroom, but there are certain degrees of separation between kindy and school. This is thanks to kindergartens being places of “play-based learning” (QLD Government Kindergarten). 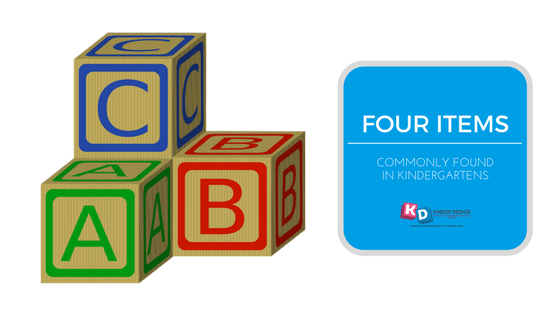 Here are four items you’ll find in kindy’s that mix learning and playtime. Everyone needs a place to put their things. As an adult or a teenager, the typical place is a locker. In kindy, though, cubby holes are the norm. Cubby holes are shelves, designed so there are individual “box spaces”. These boxes are where the children can place their belongings. Staff at the kindy use cubbies for storage around the classroom. Items like stationary and toys get placed in baskets, then slotted into the cubby hole. This is good for keeping the floor tidy and reducing trip hazards. Kids need a place to sit, read, write and more. The desks come in many shapes; kidney, round, square. Wood is a popular material because it lasts longer than plastic. To make the general classroom environment more welcoming, the kindy might choose furniture with fun patterns and colours. Getting the kids active both physically and mentally is important. Wooden play houses, or cubby houses, were made for this reason. They make children use their imagination and get moving. If one house is built as a kitchen, the kids might pretend to own a working restaurant, complete with chefs and waiters. 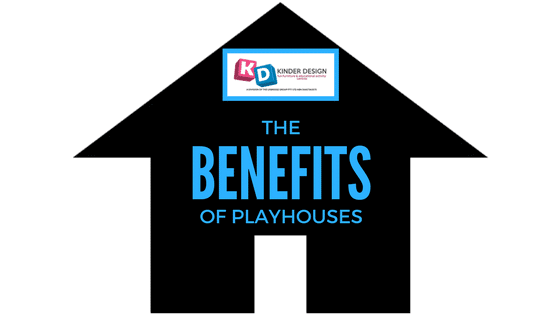 Wooden playhouses are built around any real-life structure. Kitchens are certainly popular, but other options include banks, woodland cottages and even hospitals. Building blocks are another item commonly found in kindergartens. They’re good for both interactive play and learning. Teachers can use them for basic counting and mathematics. During play time, children can unleash their inner architect and build a miniature tower. They can concentrate and do this themselves or team up with their classmates to build a town.